There is no room service after 9:30 p.m. Resort Fee: A $2 city/local tax, per person, per night will be collected at the property.? 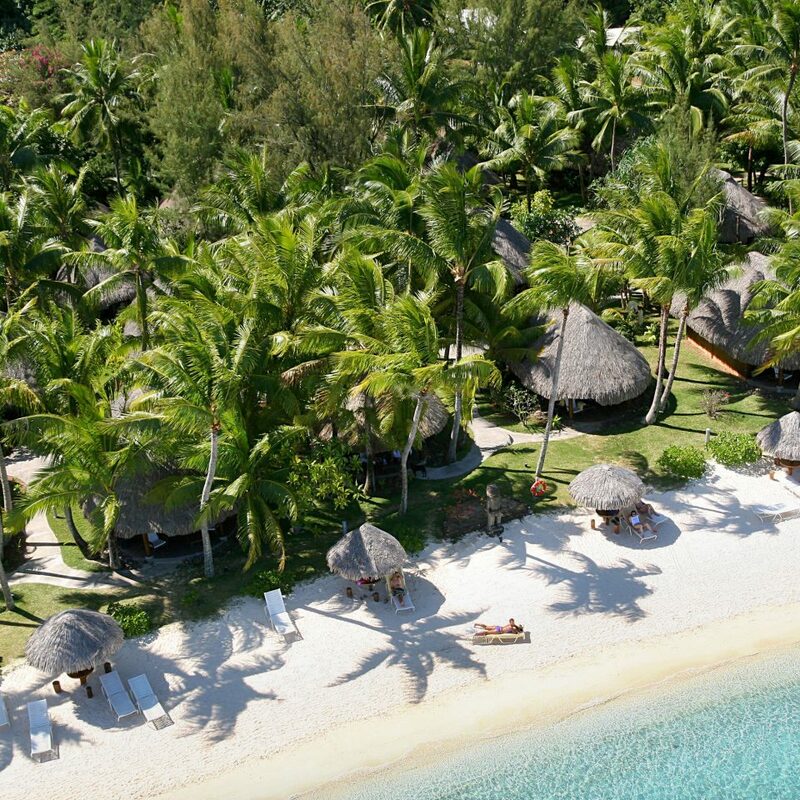 Originally built by Italian filmmaker Dino De Laurentiis as the location for his 1977 movie Hurricane, the Sofitel Bora Bora Marara Beach Resort is a chic tropical retreat less than an hour by plane from Tahiti. 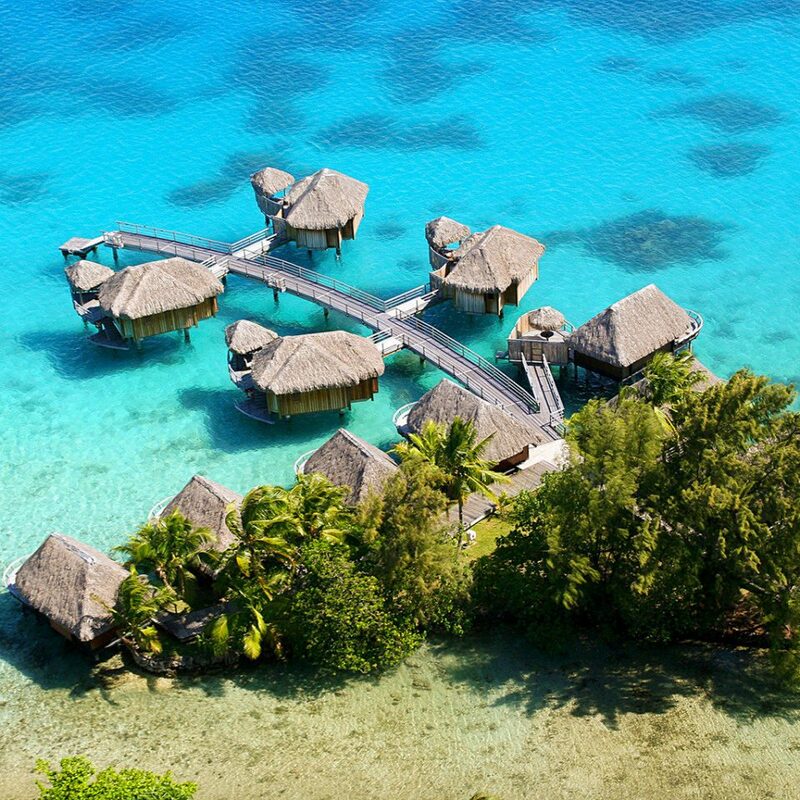 Situated between a white sand beach and a turquoise lagoon, the resort comprises 55 traditional French Polynesian bungalows, some of them suspended over the water (with viewing panels in the floor), some with terraces overlooking the sea, and some nestled in the lush gardens, which are dotted with swaying palms and hibiscus flowers. 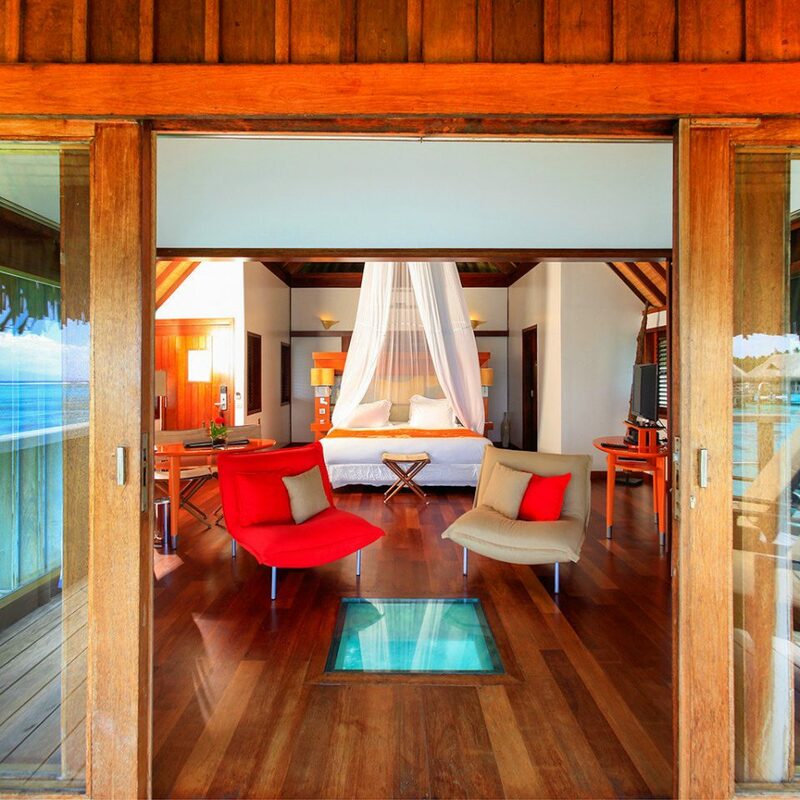 The rooms are tricked out in soothing russet red with wood floors, high ceilings and oversize sun decks. During the day choose between scuba diving, a 4X4 island tour and a canoe ride across the lagoon. 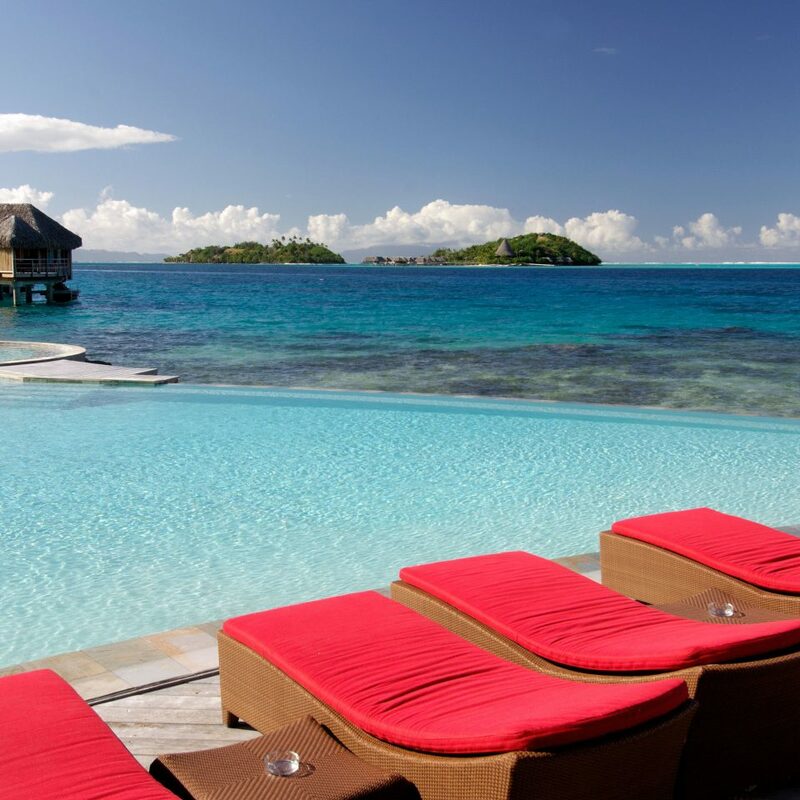 Later, kick back with a Tahitian spa treatment or chill out on a lounger by the serene and secluded infinity pool. 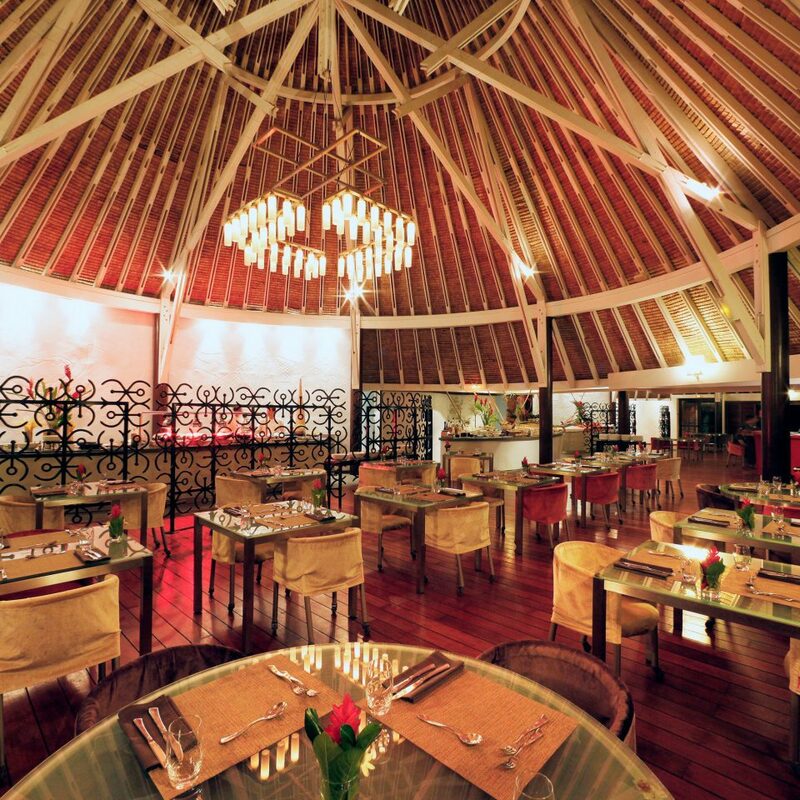 Sample French and Polynesian fare at the wood-domed Latitude 16 Degrees restaurant, then head to Hurricane for lagoonside sundowners. 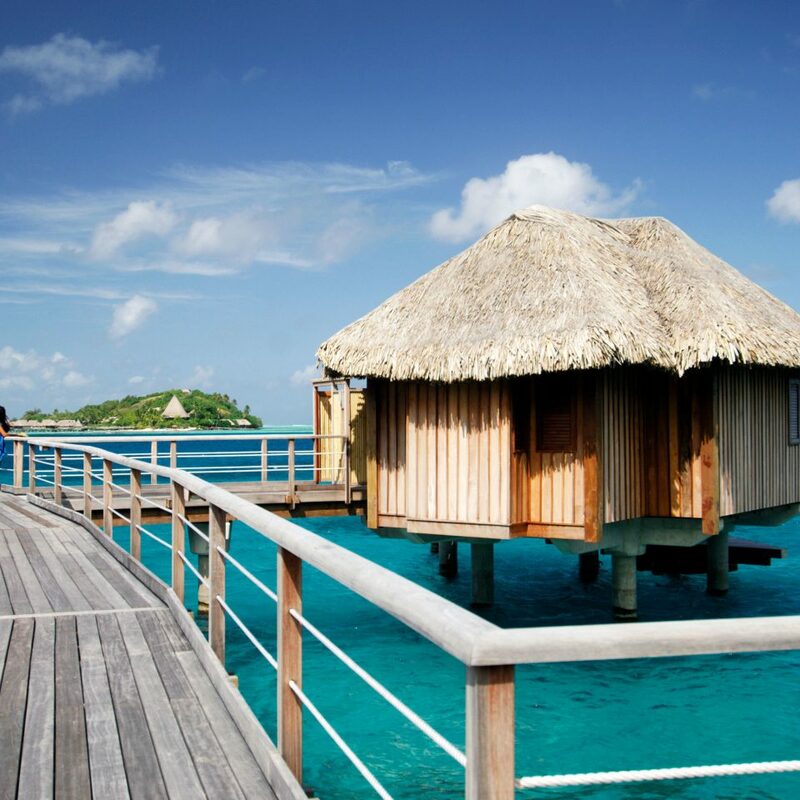 Nicknamed the Pearl of the Pacific, the French Polynesian island of Bora Bora is as close to paradise as you’re likely to get in this world. 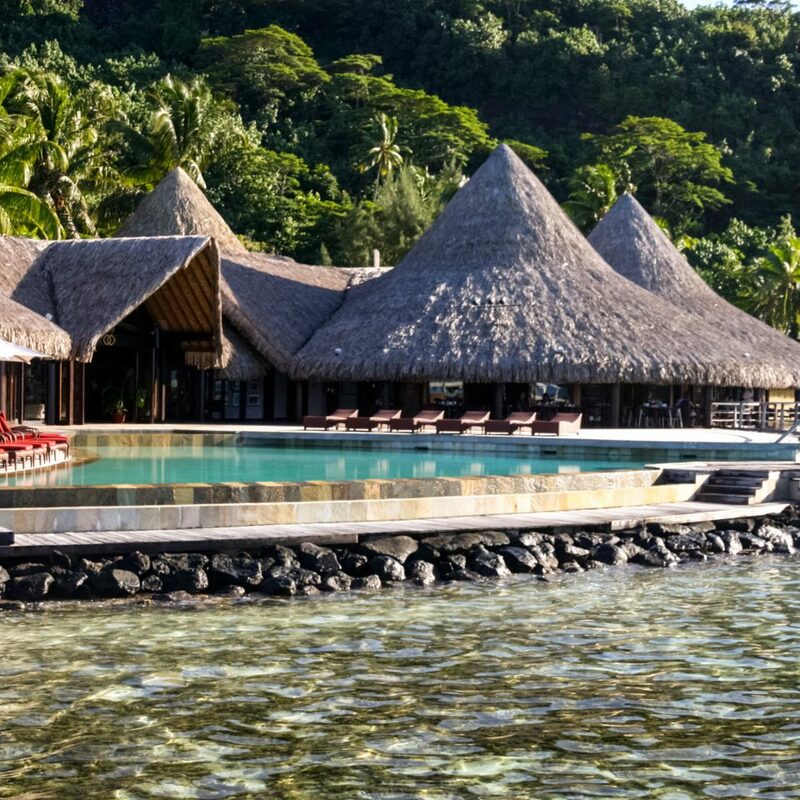 And while cocktail sipping and beach lounging will likely fill a lot of your schedule, there’s also plenty of scope for adventure. 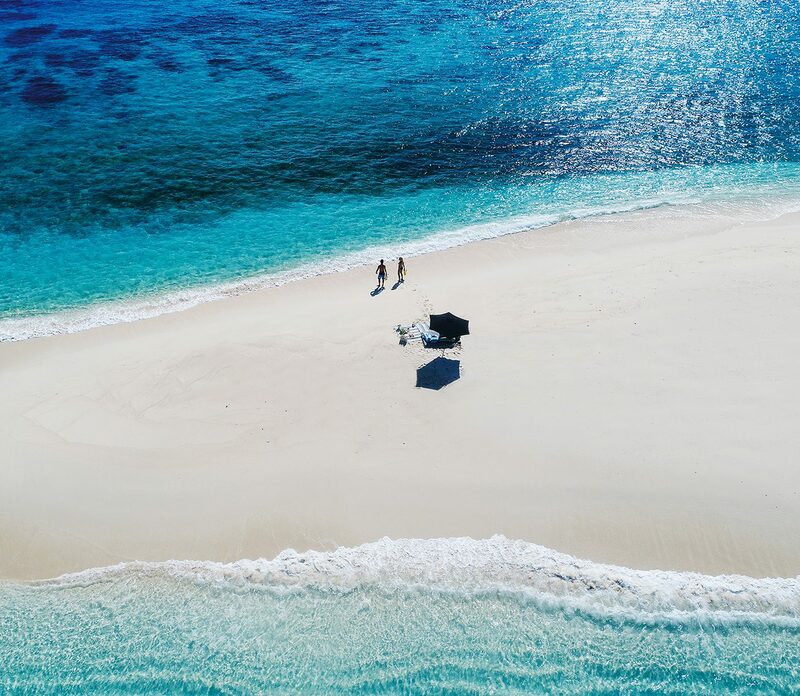 World class diving and snorkeling are available on the island’s glittering reef, the warm, shallow waters making this region ideal for beginners. Sightings of reef sharks (not man-eating ones) and manta rays are practically guaranteed. Hiking is also popular; the dormant volcano, Mount Pahia, offers a grueling but rewarding climb. 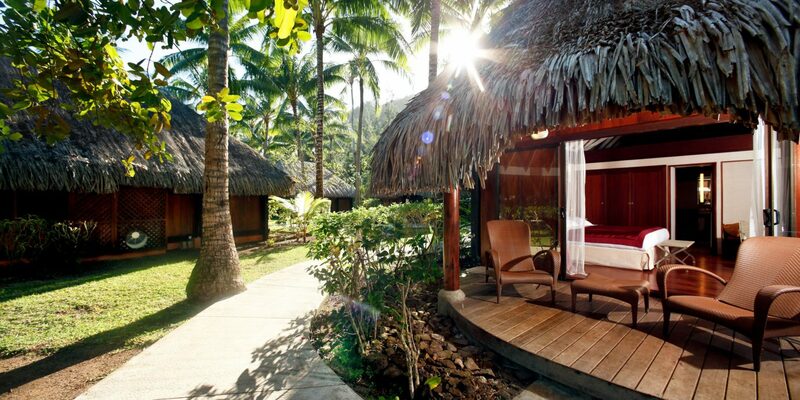 And if you’re here in July, don’t miss Heiva I Bora Bora a Polynesian festival with dance, music and beauty pageants. Be AWARE!!! PROPERTY IS CLOSED!!!! BE AWARE!!! DO NOT BOOK!!! This hotel has been closed for construction since March 1st and it is unknown when it will reopen. 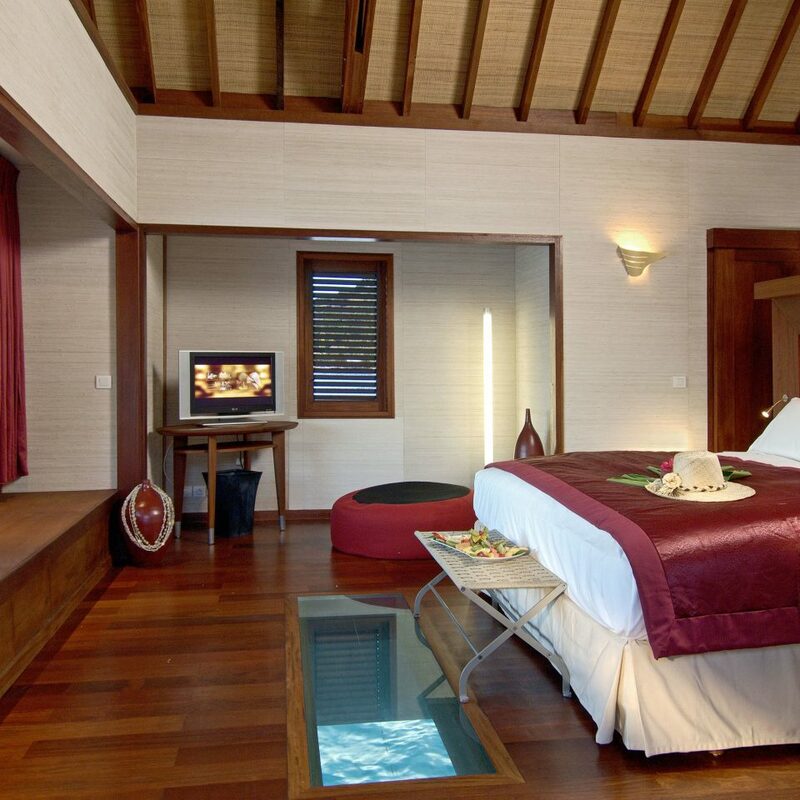 The hotel is still available for booking on various hotel booking websites. However, when you book this hotel the management will wait until a couple days before your stay and inform you in writing about the closure last minute. In exchange, they book you with a lower tier hotel. Sofitel is well aware of the closure but keeps it under the rug to pretend business continuity and profitability. This situation left us to scramble with extremely limited options for alternative bookings. 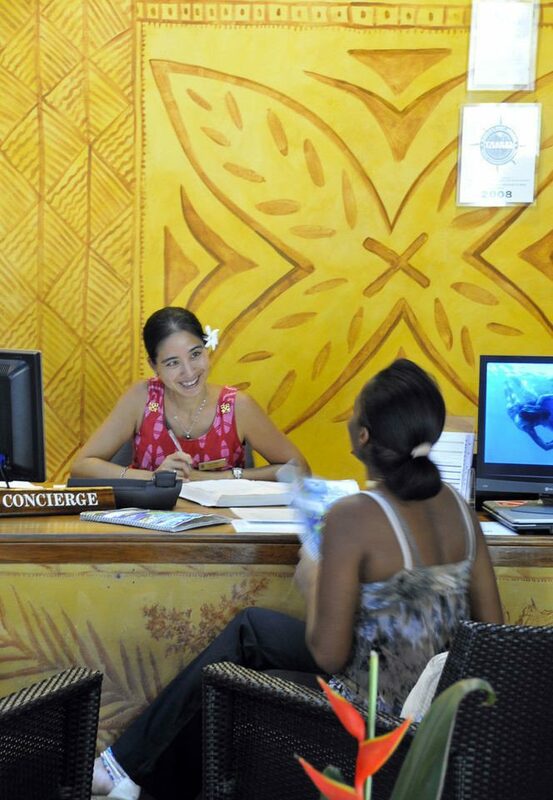 Their lower tier alternativel reservation was finally also canceled upon our arrival in Tahiti. This is absolutely unacceptable. This is the most horrifying experience we have had while on vacation. It has totally ruined our long awaited visit to Bora Bora. Call their local hotel number and make sure there is staff available, nobody will pick up. SHAME ON SOFITEL! My husband and I stayed here for five nights on our Anniversary trip. It is a beautiful beachfront resort. 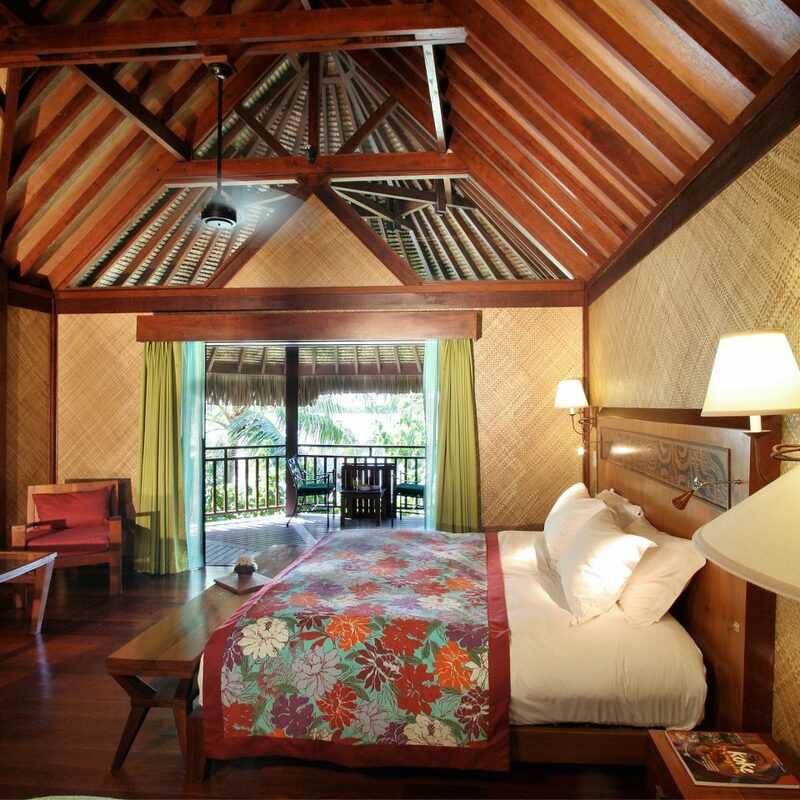 We stayed in a bungalow on the beach and were very pleased with the room. It was private and steps to the water. The staff attended to our every need. The room was clean and well appointed. We would love to go back some day. The hotel property is very run down. 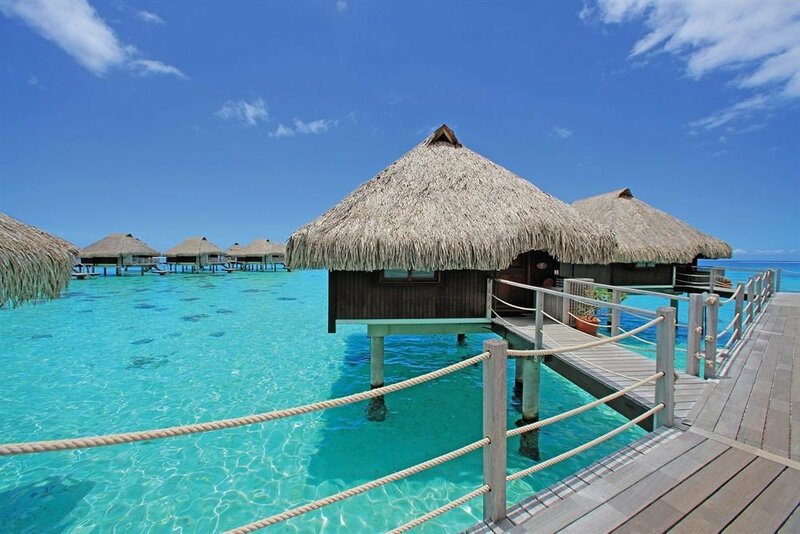 When looking at the site for booking it said “ sold out “ The over water bungalows are not sold out as the site said, they are not even fit for use. Missing doors, windows, lights, decks, stairs and more. 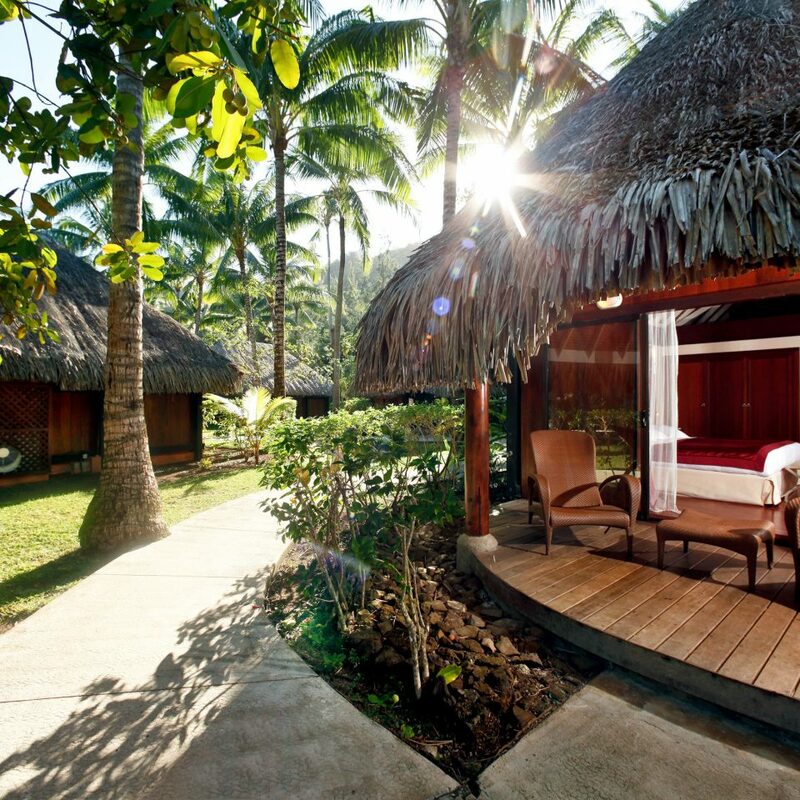 The beach bungalows are run down and many can’t even be rented. It said if you stay 4 nights or more you get free diner as well as free breakfast. Not the case as we stayed 6 nights and no free dinner. Most the staff is very friendly, most. They said free shuttle to city at 9am, but when we wanted to go to the city they want to charge 37.00 for shuttle. That’s not free. To purchase a beer can cost 11.00 but if you walk down the road 640 meters they are 4.00. The on-site dinning was out of menu items daily. The bed may as they state online line be a “ signature series” but it’s got a crater in it where you fall in and get terrible rest. 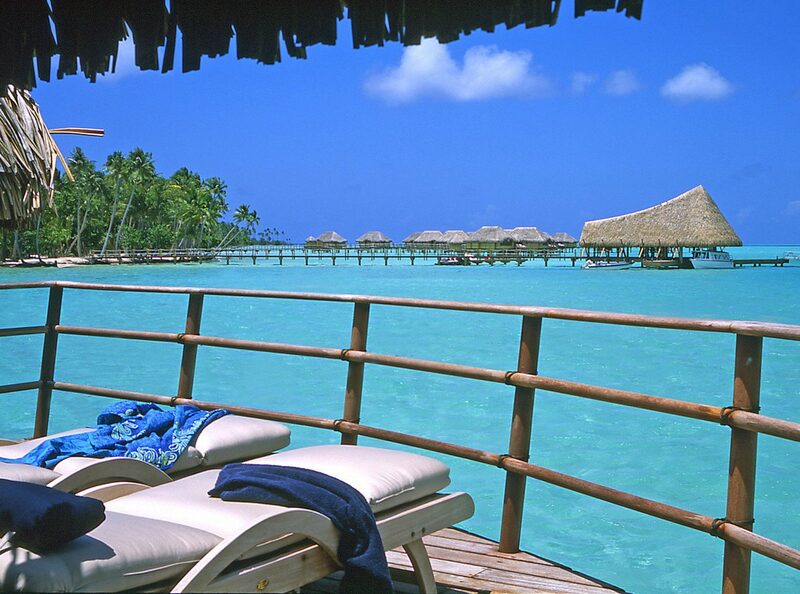 I’ve been to many island resorts and have read about bora bora many times. This Sofitel is a terrible place to waste this kind of money and get this poor a hotel to stay in. Do your self a huge favor and do not waste your time or money here. Many other sites that are on far better condition. Better yet go to Boracay island and you will get ten times the hotel, and ten times cheaper food and activities. The water is clearer, the reefs are far more colorful, the fish are more abundant. Too many places beat Sofitel. 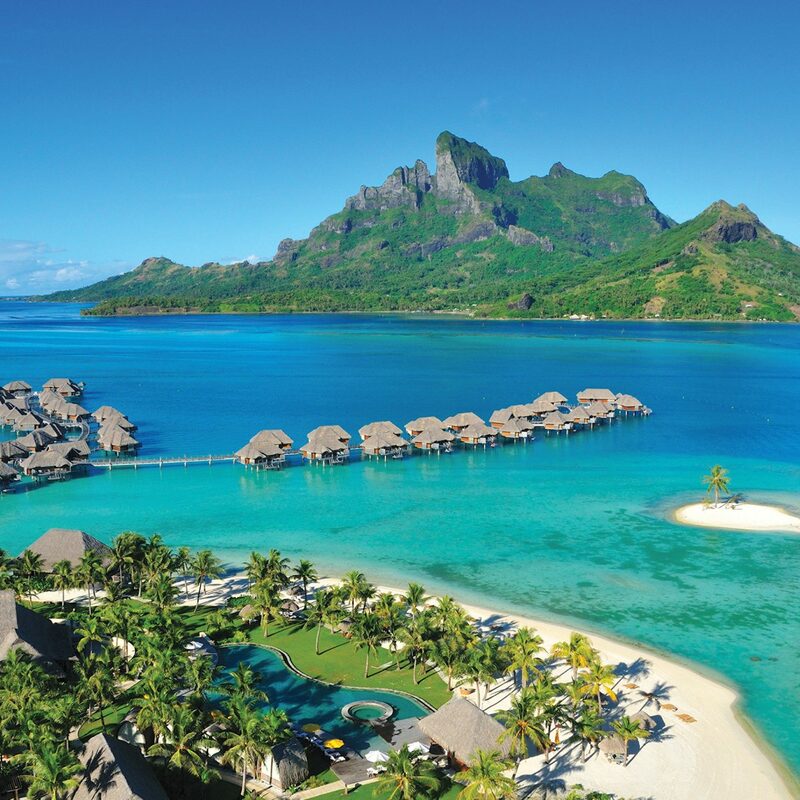 Very let down for all the hype about Bora Bora. They just can’t compare to other resorts of this price range much less the Philapines, Thailand, Mexico Bahamas, Hawaii. Really loved the hotel. Staff is really helpful (thank you Benji and other staff at the reception, all servers were also really nice - thank you, ladies, for serving us! ), and the accommodation was good. We were granted an unlimited access to the private island, which was a great bonus for us, and which we used it a lot. The beach at Marara Beach was also really fantastic. We were able to snorkel from the beach or could take a boat to the private island and take a kayak there to go to the Coral garden, which was 5 min of kayaking and was amazing. We did it for several times. The breakfast was scrumptious and delicious - they serve eggs (of your choice), homemade yogurts, cheese and ham (including prosciutto and salamis), smoked salmon, fruits, a variety of pies and brioches and much more. After exploring a couple of restaurants nearby we decided that Sofitel Marra Beach serves the best dinners out of all community restaurants - so there is no need to go anywhere. They charge a little bit more but their portions and quality of food is much, much better. We paid for one buffet night with the performance of Polynesian dances and songs. The performance was in somewhat disappointing, but we appreciated a local flavour. One day we rented a car and did travel around the island - it is very small, but we were happy that we did it, because we could bring some snacks from the big grocery store in Vaitape and buy some pineapples, mangoes and papayas on local markets/fruit stands. We also took a 3-hours snorkelling safari tour with Moana Adventures (purchased it before we came to Bora Bora and it was substantially cheaper than we would buy it it at the hotel) and it was a highlight of our vacation - we did swim with sharks and manta rays and more. Getting from the airport was very easy - we took a free airport ferry and then took a taxi which cost was $25 US dollars - much cheaper than taking a boat from the hotel which cost was 60 dollars per person one way. We tried to be on the budget even though it was a big anniversary trip for us (we both turned 50), and this is one of the ways to avoid overspending. My only complains are about the condition of the bungalows - i know that they are undergoing the renovation very soon, but they have to be renovated quite substantially including the roof and windows replacement and much more. I experience a terrible allergy from fumigation they do quite regularly to get rid off mosquitoes and other insects that are very much present in every bungalow which are not properly sealed and air, humidity and insects penetrate inside easily. The unsealed condition made the AC unit, which was pretty good, to work constantly while eating up a lot of energy. But other than that the resort is awesome - i am looking forward to see it renovated! We stayed 4 nights in Superior Beachfront Bungalow. Everything including location, property, service, food were great. We had a wonderful stay. We requested shuttle service with their boat from airport but when we arrived at the airport, welcome desk staff gave us option to take their shuttle or use combination of free public boat and taxi. We chose public boat since it was much cheaper. Public boat was big, fast and comfortable. When we arrived at the ferry terminal in Vaitape, taxi (arranged by hotel) was waiting for us. It was very nice that they gave us that option. When we checked-out, the hotel made pre-arrangement for the taxi for us. 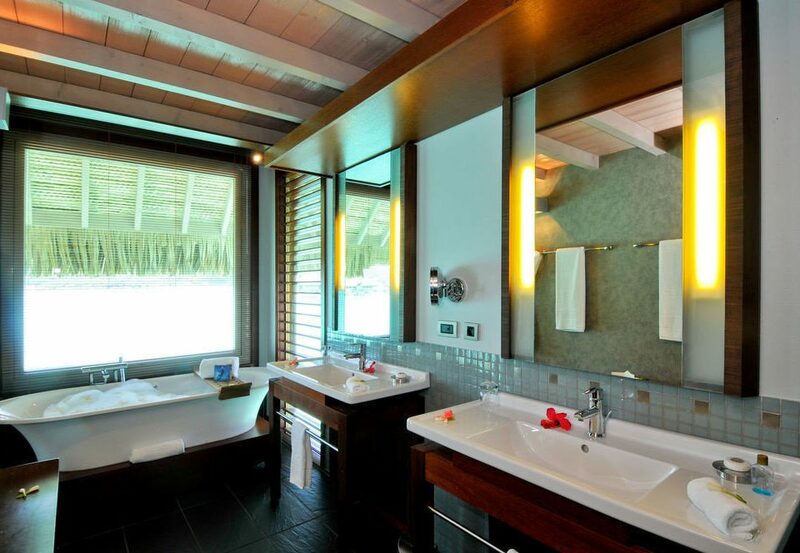 It is just one example, but they really made us feel like they were trying to make our stay comfortable and pleasant.